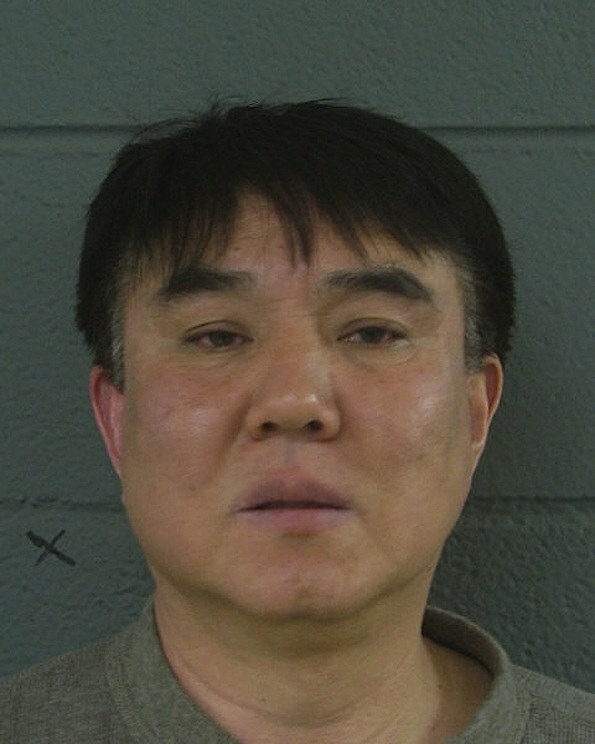 Ki Hwan Ahn (Cook County Sheriff’s Police photo). A Buffalo Grove man has been charged with two counts of felony counterfeiting after investigators seized hundreds of thousands of dollars in counterfeit apparel, Cook County Sheriff Thomas J. Dart announced Wednesday. Ki Hwan Ahn, 49, of the 400 block of Dogwood Terrace near Weiland Road and Pauline Avenue, has been charged with one count of selling more than 2000 counterfeit items, a Class 1 felony, and one count of manufacturing counterfeit items, a Class 3 felony. The Cook County Sheriff’s Police Special Operations Unit began investigating Ahn in March, after receiving a report from a concerned citizen that suspicious activity was taking place at his storefront operation BB Box, located in an office complex on the 5500 block of W. Touhy Avenue in Skokie. Over the course of several weeks, investigators conducted surveillance at the location, and determined that Ahn was engaged in illegal counterfeiting. On Thursday, March 31st, detectives obtained a search warrant for the business. Investigators discovered a large-scale counterfeiting operation inside, with illicit Major League Baseball, NFL, NBA and college sports labels printed on hats, t-shirts and long-sleeved shirts. The warehouse contained large embroidery machines used to design the counterfeit logos. Many items were already in boxes, packaged for delivery. Other merchandise was in the process of being produced. As officers executed the warrant, workers present at the business were manufacturing Chicago Bears hats. Officers seized computer software and hardware used to create and store the counterfeit logo digital files. In total, officers seized approximately 10,000 counterfeit apparel items with an estimated value of $250,000. Approximately six workers were present at the business during the search. They put officers in contact with Ahn, who turned himself in April 1st at the Cook County Sheriff’s Office Maywood police headquarters. Ahn appeared in bond court in Skokie on Saturday, April 2nd. His next court date is April 14th, also in Skokie.